Buy 2, Save $5; Buy 3, Save $15! 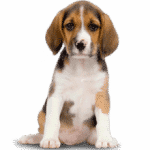 – When you need a pet shampoo for serious skin problems, you want a product that is safe and powerful and really works! 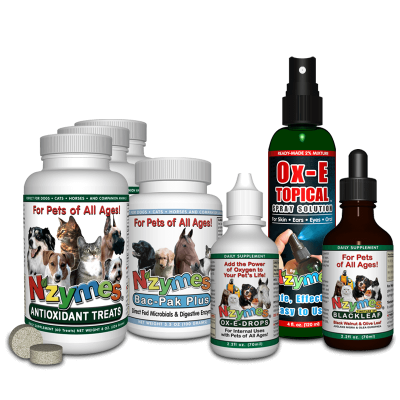 You need a formula that can penetrate effectively to help speed the natural recovery process for the pet. Earn up to 199 Loyalty Points. 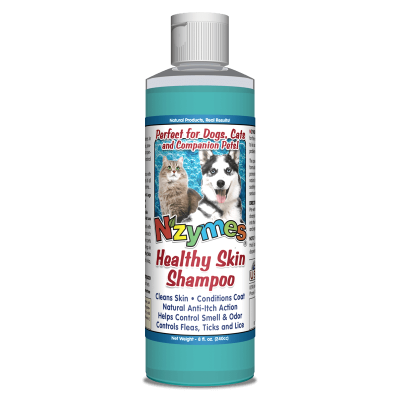 NZYMES® Healthy Skin Shampoo is effective for the worst skin problems, yet gentle enough to be used daily. Can be used topically on the itchy areas with the family pets. The powerful natural ingredients are specially formulated with vitamins and moisturizers to promote recovery for a pet’s skin and coat. 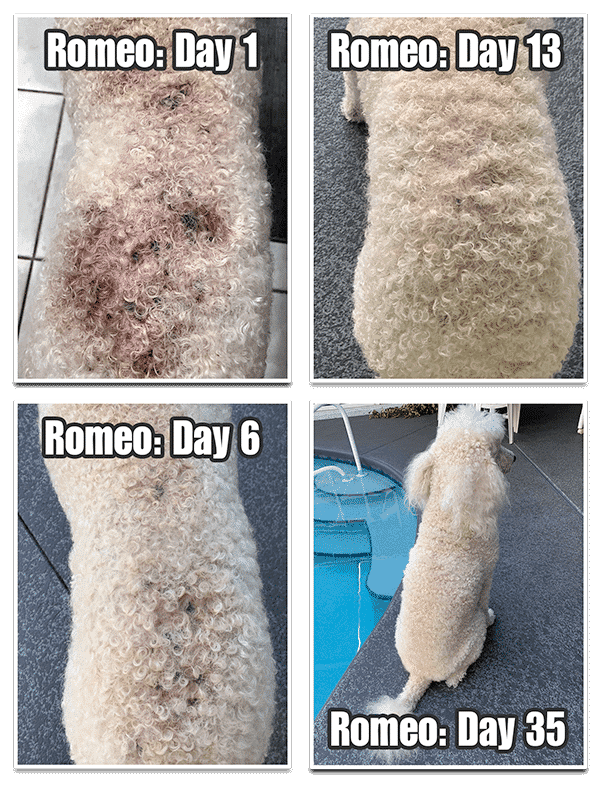 This unique shampoo was designed especially to offer soothing relief for pets that are suffering from dry, itchy and flaky skin. Wet the pet’s coat. 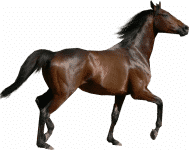 Apply a small amount of the Nzymes Healthy Skin Shampoo along the pet’s top line and massage into the pet’s skin and coat and allow to soak for 4 to 5 minutes. Rinse and repeat as needed. NOTE: This shampoo is concentrated, but it is not a thick liquid. To avoid waste, use caution when dispensing. Avoid contact with eyes. Ingredients: Eloptic energized oxygenated water, ash of dodecyl solution, dellydrabiethylanim-calcium, potassium, black cumin, spearmint, peppermint, firn, cold-pressed apricot, almond, olive, coconut oil & Vitamin E, magnesium foaming agent. 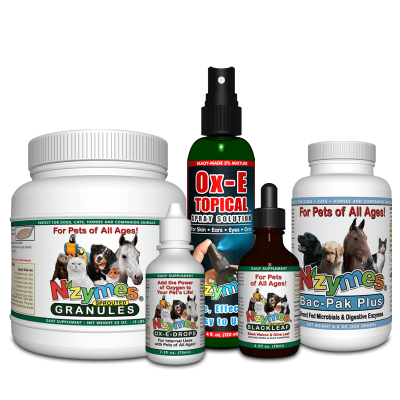 Ox-E Topical Spray Solution 4 oz.